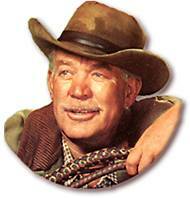 Ward Bond appeared in over 250 movies during his long career. 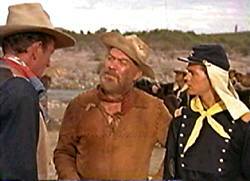 He is perhaps most memorably associated with John Wayne and John Ford. 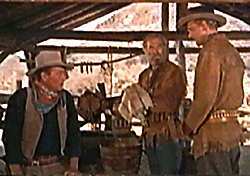 So close was this long standing relationship, that Ford directed an episode of Wagon Train, The Colter Craven Story, in which Wayne makes a cameo appearance. 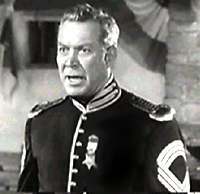 He played General William Tecumseh Sherman and is billed as Michael Morris, a take-off on his real name, Marion Michael Morrison. 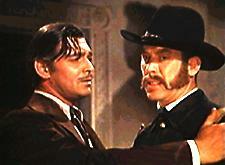 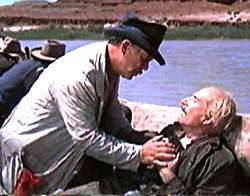 Bond’s role which served as model for Major Seth Adams was that of Elder Wiggins in Wagonmaster, also a John Ford film. 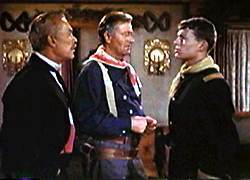 The group of men known as the John Ford Stock Company, which included Frank McGraff, Terry Wilson, Harry Carey Jr., Ben Johnson and others, were the last of breed. 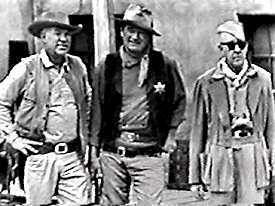 Men who were expected to be as tough as the characters they played. 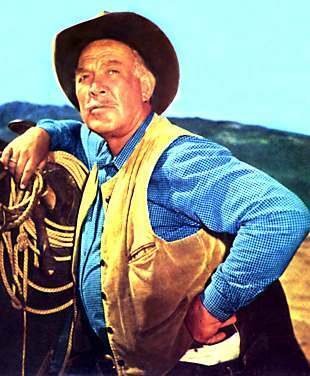 Below is a partial list of Ward Bond’s credits.